“The synergy of art and SciComm can engage locals with science happening right around us, which is essential for maintaining a citizenry invested in Canadian science. 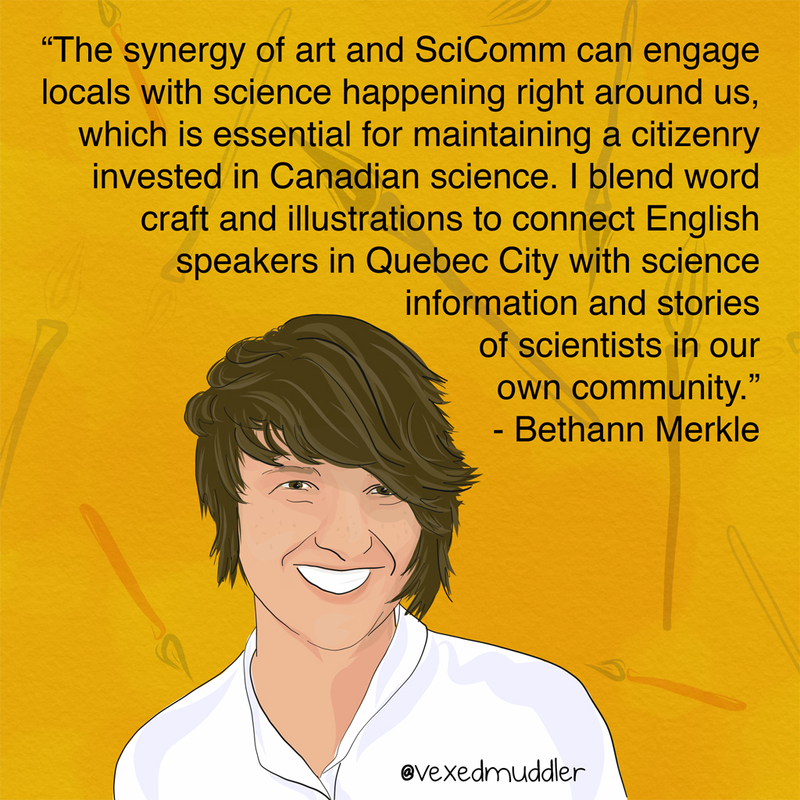 I blend word craft and illustrations to connect English speakers in Quebec City with science information and stories of scientists in our own community.” – Bethann Merkle, scientific illustrator. Originally posted on September 27, 2016.